Paul’s years in Ephesus are perhaps his most fruitful times in ministry. Witherington comments that Luke intends this unit to be a “lasting model of what a universalistic Christian mission ought to look like” (Acts, 573). It is perhaps strange to think of this as the third missionary journey, since Paul stays in Ephesus for three years. This is Paul’s longest period of settled ministry and perhaps the most fruitful time in his entire career. Christianity does in fact spread throughout Asia Minor and Ephesus becomes a center for Christianity into the early middle ages. As is his usual pattern, Paul begins at a synagogue (19:8-9). As we have come to expect by this point in Acts, Ephesus had a large Jewish population as well (Josephus, Antiq. 14.225-227, 16.162-168, 172-173). That Paul meets several important Jewish Christians in Ephesus (Aquila and Priscilla, Apollos, as well as some disciples of John) indicates the importance of Ephesus to the Jews. Paul is able to spend three months in the synagogue arguing persuasively about the kingdom of God. Paul is described as speaking freely (παρρησιάζομαι), the same verb used to describe Apollos in the synagogue (18:26) as well as Paul and Barnabas in the synagogue in Psidian Antioch (13:46). The word refers to boldness or fearlessness in speech. Paul is not holding anything back in his time in the synagogue. The phrase “kingdom of God” likely refers to a whole range of topics Paul preaches on in synagogues. This would include arguing Jesus is the messiah, but also that the messiah would die and rise again. Luke chooses an important word to describe the negative response of the synagogue to Paul’s preaching. The NIV’s “obstinate” (σκληρύνω) is used in the Septuagint to describe hard-heartedness toward the word of God. For example, this the word used in Exodus for Pharaoh’s hear (4:3). In LXX Jer 7:26 the prophet describes resistance to the word of the Lord as “stiffening the neck.” In the Second Temple period, the writer of PsSol 8:28-29 says the nation “stiffened their neck” and was sent into exile as a result. These Jews are acting like their forefathers, a point made also by Stephen in Acts 7. The word describes a choice not to believe something, but also the fact that this stubbornness leads to a stronger unbelief. This can be seen in the “hardening” of Pharaoh’s heart in Exodus (or Rom 9:18). He chose to be stubborn, and then the Lord increased his stubbornness as judgment. Unlike Paul’s previous experience in Philippi or Thessalonica, he is able to remain in the city of Ephesus for a long time, perhaps as long as three years. In fact, Paul’s time in Ephesus might be his most successful ministry described in the book of Acts. What contributes to this success? 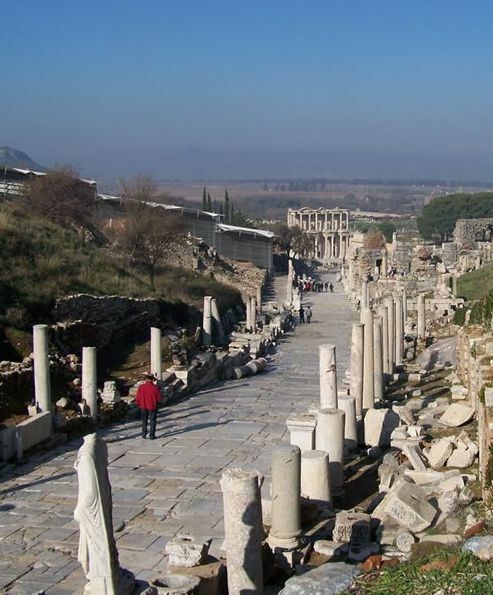 Does Paul do anything different in Ephesus? Or is this a matter of being at the right place at the right time? Ephesians is one of the books in the Pauline collection which is frequently assumed to be pseudonymous. Despite the fact that Paul refers to himself four times in the letter (1:1, 3:1, 4:1, and 6:19-22), the majority of scholarship in the last 150 years denies the authenticity of the letter. Rather than written by the “historical Paul,” the letter was created in the late first century, perhaps as a companion to the book of Acts. 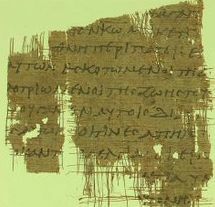 There are some differences between Ephesians and the other Pauline letters. For example, the common Pauline term brethren is missing (except 6:23), and the letter never calls the Jewish people “Jews” in the epistle, even though the Jews are an important part of his argument. More surprising is the fact that the verb “to justify” is not used, even though while it is common in Galatians and Romans and might have been useful in the argument of 2:11-22. Does it matter if Paul did not write the letter himself? If the letter contains the actual “voice of Paul” then the letter can be considered Pauline. By way of analogy, in the study of the Gospels there is a great deal of discussion over the words of Jesus. When I read the words of Jesus in my ESV Bible, can I know that these are the real words of the historical Jesus? The answer which satisfies me is that the words of Jesus in the Synoptic Gospels are true “voice of Jesus,” even though they are not the actual words Jesus’ words were originally spoken in Aramaic, translated to Greek and then to English for me to read! In the same way, even if Ephesians was not written by Paul, the true “voice of Paul” can be found in the letter. As it happens I think Paul did write Ephesians, albeit much later in his life during his Roman house arrest. The letter was intended to go to all the house churches in Ephesus and there is no burning problem which Paul has to address (as in Galatians or Corinthians). This explains why the letter is generic in terms of theology and practice. How might taking Ephesians seriously change the way we think about various elements of Pauline Theology?